Antwerpen. The "work of REX" was decades ahead of it's time, and a precursor of our gay world today. 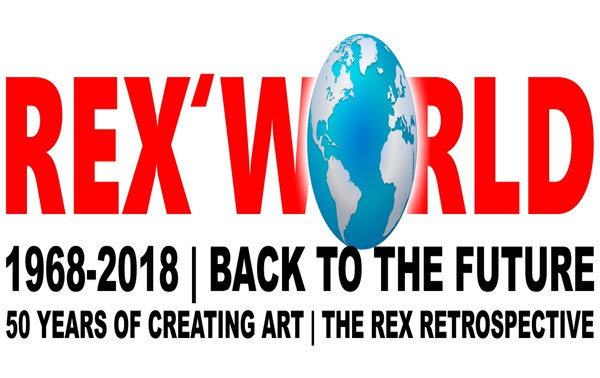 At Leatherpride Belgium 2018 like to introduce their new exhibition REXWORLD-retrospective and it's related crowdfunding. The Antwerp exhibition showcases (February 23-25 ,2018/ REX exhibition in Antwerp) the art that for decades terrified galleries and publishers alike as taboo subject matter. The work represents one man's lifelong dedication to free speech and revolutionary art rooted in the unvarnished truth about ourselves. Many young viewers will remain contemplative after their initial exposure to this "hidden" art and introduction to the complex underworld of the artist known as REX. This project's objective is to make the "impossible" possible: After a half century of creating iconic gay art for the gay community, REX images have become ubiquitous around the world as "anonymous art", that is endlessly copied and circulated on line without permission, payment or credit for decades now. Now in his vintage years, this much censored and ignored artist is to be honored with this rare European exhibit, which highlights five decades of his pioneering contribution to gay history. For the first time ever, Antwerp's internationally recognized LEATHERPRIDE at the DARKLANDS festival showcases over 200 images from his incredible career in art. The majority of this art on display has never been allowed public exhibition due to government censorship and the scourge of political correctness.